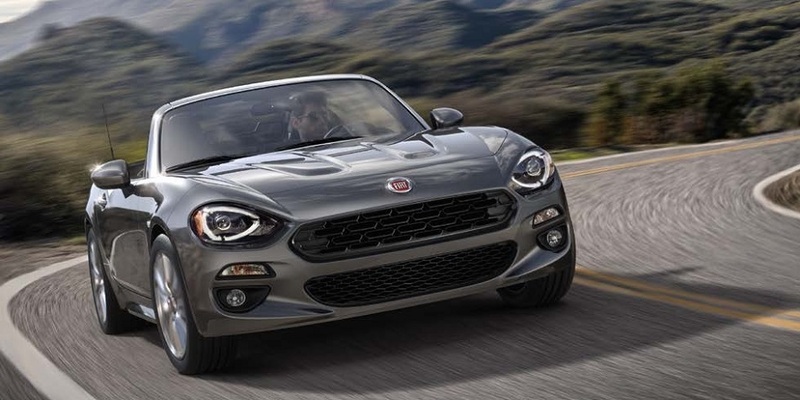 Pricing of the new Fiat 124 Spider has been reported on Italian websites and show the Spider being competitively priced to similar equipped Miata models. 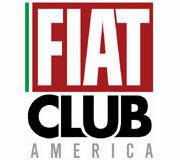 Early reports in Europe indicate the more powerful Fiat offers stronger acceleration and flatter cornering than the Mazda. There is also an enhanced Noise Vibration and Harshness (NVH) package that makes the Spider quieter and feel more refined. The pricing reflects that. 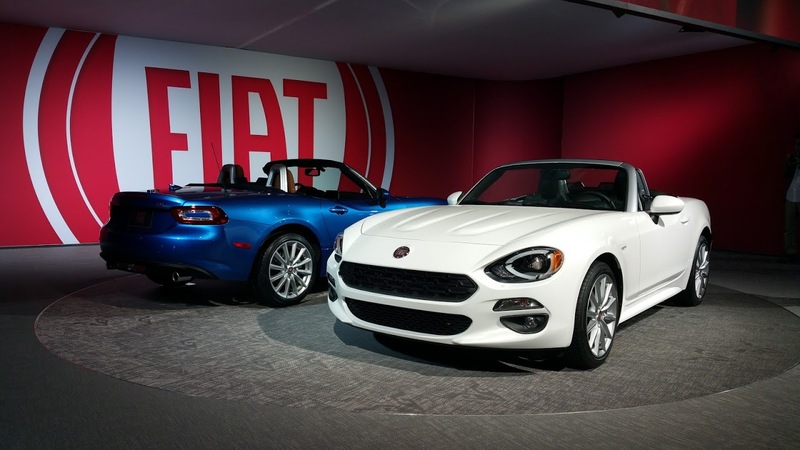 The 124 Spider comes in two models, base and Lusso, plus the ultra-limited production Anniversary model. The 124 Spider Anniversary model celebrates the 50th anniversary of the original Spider that debuted in 1966. Only 124 examples will be made, and it's been reported that the model is already sold out well in advance of the car's showroom arrival. Fiat is lending buyers of the Anniversary model the use of a 500c Cabrio so they can enjoy open-top motoring while waiting for delivery of their vehicle. 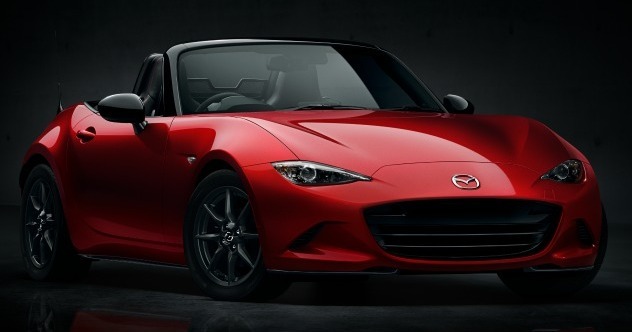 In Italy, the Miata MX5 comes in three models, a base model called the "Evolve", the mid-range model "Exceed", and the higher end "Sport". 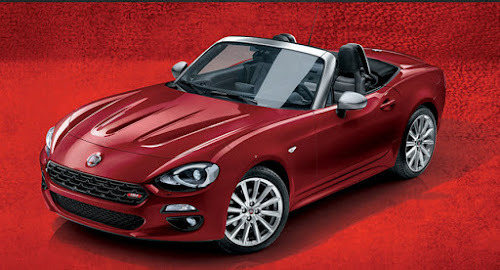 As the Fiat is more European grand tourer and less lightweight Japanese speedster, there is no stripped down 124 Spider. The well equipped 124 Spider compares more to the mid and higher range Miata models, and the price is comparable. How much in the U.S.? In the United States, Mazda offers the Miata in three trim levels, Sport, Club and Grand Touring. 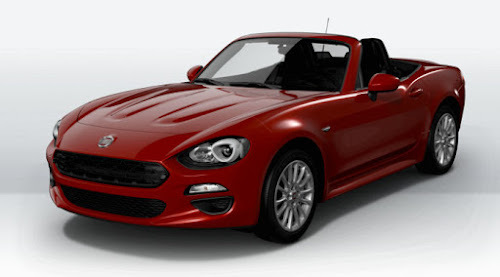 The 124 Spider is available in two levels, Classica and Lusso. 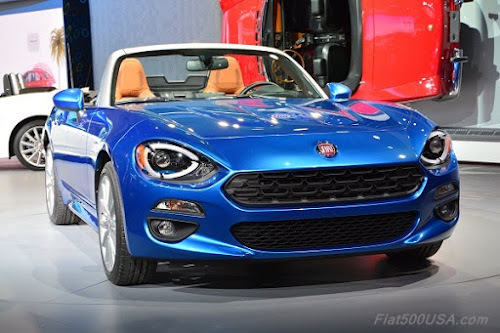 There is also a special edition called the Prima Edizione similar to the Anniversary model available in Europe and also limited to 124 examples. 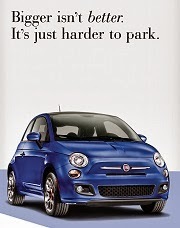 The Prima Edizione is based on the Lusso model and has all available options. 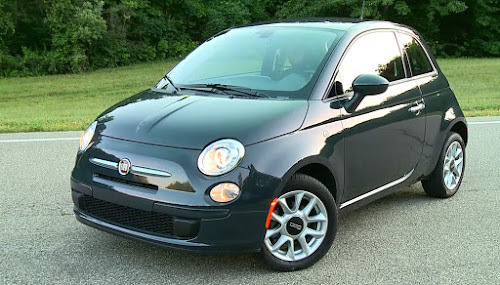 There is no price premium added for exclusivity, and the Prima Edizione is expected to sell out immediately, just as the Anniversary model has in Europe. 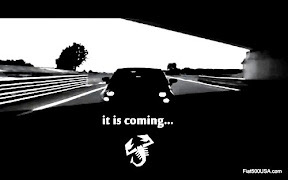 *4/28 Breaking News: It has been confirmed the Lusso will now be offered with a manual transmission! 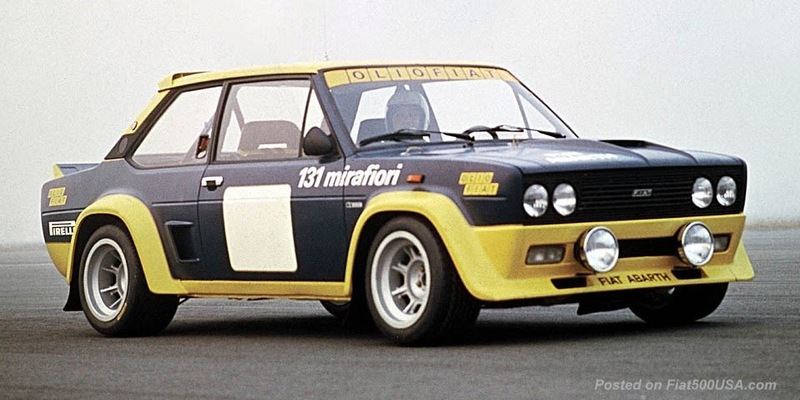 Classica models are closest to the Miata Sport with 16-inch wheels, 6-speaker stereos and cloth interior. Estimates range from $26-27,500. 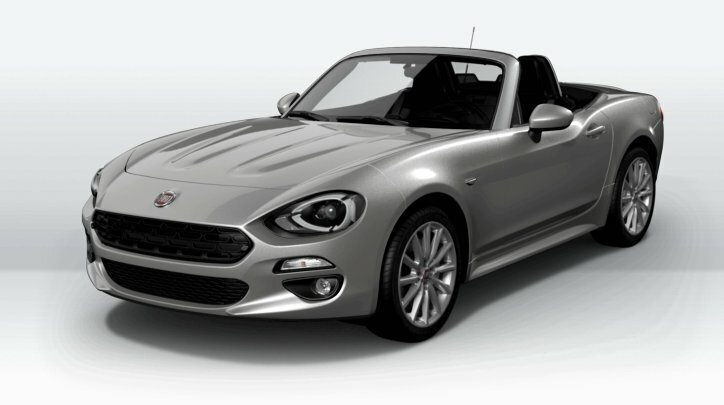 Fiat 124 Spider Classica standard equipment. 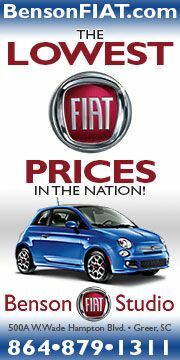 These prices are just best guesstimates. Now let us know what you think on the Forum.